Ulster Scots / Scots Irish. Some of us stayed in Ulster to become the Ulster Scots, some went and became the Scots Irish. No apology is required for producing a history of Ulster planned on a scale sufficiently liberal to allow of a thorough treatment of the subject. 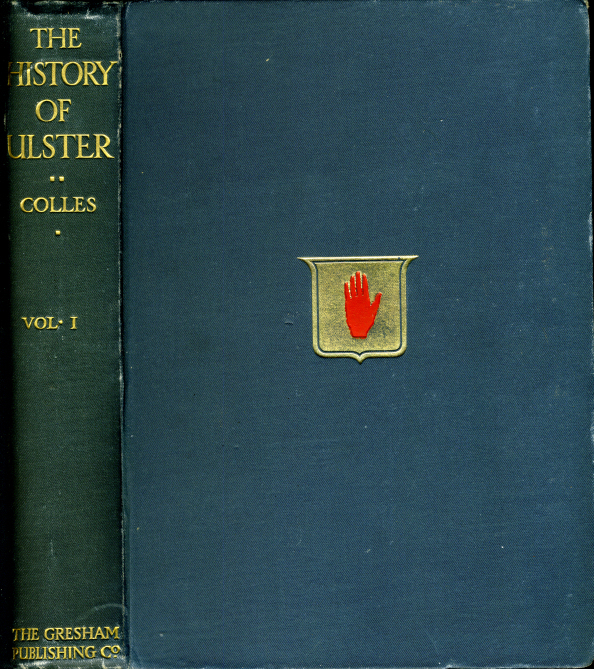 The Province's magnificent record and the greatness of her achievements in so many spheres of activity have long clamoured for such a work; and it is in answer to the call that the present History of Ulster is now published. The work was begun and was far advanced towards completion before the war. After the outbreak of hostilities, the issue was necessarily postponed and preparation for it interrupted. Just as this long period of enforced delay was drawing to a close, the gifted author's death occurred. It is matter for deep regret that he should have been deprived of the legitimate satisfaction of seeing the publication of the work which he had undertaken with enthusiasm and to which he had devoted years of zealous labour. It has been left to another pen than his to record, as a fitting close to her story, the honourable part which, true to her traditions, Ulster has played in the momentous struggle for the liberty of, the world. XVIII. A "Wild and Woeful Land"
XXI. "New Presbyter" and "Old Priest"
XXIII. 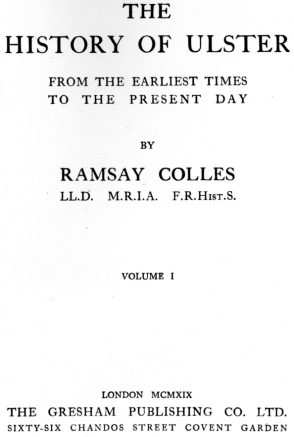 "The Old Order Changeth"
These sketches of the history of the Scottish settlers in Ulster were published in the columns of the 'Scotsman' during this spring. They have been recast, and are now published in a permanent form, as I think they may interest some who care to examine the Irish question for themselves. Their English and Scottish origin seems to me to give to the men of Ulster an inalienable right to protest, as far as they are concerned, against the policy of Separation from Great Britain to which the Irish, —with the genius for nicknames which they possess —at present give the name of Home Rule. My thanks are due to many friends in Ulster and at home for kind assistance; and more especially to Professor Masson for allowing me to have access to those sheets of the ninth volume of the ' Privy Council Records of Scotland,' now in the press, which bear on the Scottish share in the settlement of 1610.